It might be quite late in the day, but the intent of this blog still prevails. 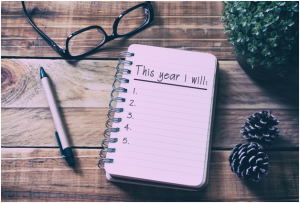 If you like most individuals set resolutions with lofty intentions only to find yourself going astray the very next day, this blog is for you. Now making New Year resolutions sure is no biggie, it is after all the “following them “ part that takes all the work. And if you only make these resolutions to break them later on, well why make them at all?! Health is a serious topic, and you need to pay attention to it for yourself to keep enjoying your life better and for a longer duration. To help you in the process, mentioned below are a five New Year resolutions that you can make and how you can stick to them. Sounds very basic, doesn’t it? Well wait till you read further. One of the prime reasons many individuals fail to stay true to their resolutions is because they make unrealistic goals. These in turn bring along added pressure, putting your mind, body and conscience to battle. So the idea here is to take small steps instead of a big leap. You can begin with stacking up your kitchen with healthier options to what you generally eat. This could include a bowl of fresh fruits in place of the desserts you have post dinner every night. You can also replace your fried, salty munchies with dry fruits, and try having a generous plate of salad at least once a week. Since the goals are easy and doable, there’s a huge chance that you will not just give it up. And slowly but surely you will find yourself developing a taste for it, so you won’t even have to try keeping up later on. Overeating is one of the most common factors that give rise to issues like high cholesterol or obesity. Now, people do not just indulge in overeating because they cannot resist food, but also because they many times do not realize having done so. Remember ordering too much food and having to gulp it all down every time, even though you feel full? So, here comes our resolution number 2 to avoid situations like these in the future. Staying mindful and having small portions of food not only saves you from a lot of health issues that are better avoided but also saves the wastage of food. So, if the practical reason is not enough to keep you motivated towards practicing this resolution, then the good cause should. And for some more motivation, remember that smaller food portions are essential when trying to lose weight. Loaded with antioxidants and various medicinal properties, herbal tea is a natural health booster. And if you already know that, it’s time to include it in your resolutions too. Herbal tea has been known to improve digestion, relieve stress, reduce cell aging and regulate blood sugar. You can create a morning ritual with a refreshing cup of herbal tea while chucking the caffeine to stay active, healthy and de-stressed throughout the day. What’s more is that herbal tea also helps you sleep better, which is another prerequisite for maintaining good health. Since lemon, sugar and other ingredients can be too much effort, you can simply cut short all the steps with affordable and convenient teabags. You can carry them along with yourself to your workplace too, to keep your routine going. You may have come across this many times in your life before, but do you actually follow it? Staying well-hydrated has more profits in it for you than you can imagine. Besides quenching your thirst, water also regulates normal body temperature, heart and kidney health. Staying well-hydrated also keeps your skin supple. Many times, that hunger that you feel may not be hunger at all but your body’s demand for hydration. Hence, it is very important that you ensure that you get the right amount of hydration every day. To funk things up a bit, you can opt for water infused with herbs, fresh fruits and also veggies. Cucumber, watermelon, ginger, apple are a few common infusions people take to, in order to enhance the taste and nutrient level in their water. You can also squeeze some lemon into your glass of water for boosting your immunity and for better digestion. Don’t be scared before you read further. Now if you feel you may not stick to a gym routine or yoga classes, it is time to throw in some simplification. Forget heavy pushups and bench presses, go simple and old school instead. How about taking the stairs and ditching the lift or escalator whenever possible? You can also shun the car or motorbike and walk instead when needing to cover short distances such as the grocery store or somewhere else in the neighborhood. Simple activities such as the above will help you get over laziness and who knows you might soon feel prepared enough for regimes too. Once both your mind and body begin accepting the changes, it gets easier for you to try and take on newer and tougher things. So take note of the above and make this year about getting fit and healthy.